I have been a fan and user of X series cameras since the original X100. I’ve gone through the X100, X-Pro1, X-E1, X100S, and the X-E2…and I currently own an X100T as well. The X-T1 is the X camera that I’ve anticipated the most, as I consider myself more of an SLR-style camera fan more than a Rangefinder-style camera fan, which all the other X cameras were styled like. 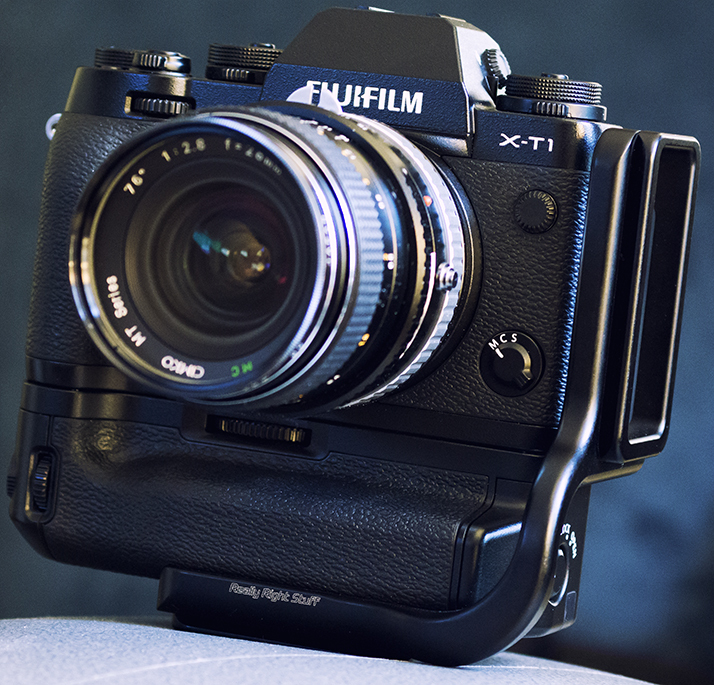 The X-T1 has been one of the hottest cameras since it’s introduction in late January 2014. I was one of the first photographers to get an X-T1 from Dodd Camera since I had pre-ordered it on launch day. I picked it up on Feb. 20th and immediately started to test it out to make sure it was something I was going to keep. Very quickly I realized that it was going to be a keeper – the highly regarded (and deservedly so) image quality of Fuji’s X-Trans sensor was there obviously, but everything about this camera is what I hoped it would be…the feel, the build quality, the super-hyped EVF, improved autofocus, etc. The EVF was talked about probably more than anything on this camera. Everybody was hearing that it was a game changer – the best EVF ever…the biggest EVF ever, etc. Well, the EVF is very, very nice. It is the best EVF I’ve ever used or seen, but it’s still not an optical viewfinder. It’s closer than we’ve ever had in an EVF, and I don’t necessarily have a problem using it, but it’s not going to kill optical viewfinders IMO. As good as it is, it’s still not the same as an OVF – especially when manually focusing. I personally feel that the latest Sony cameras are better for manual focusing – probably the only thing I think Sony is stronger at than Fuji right now – their Focus Peaking is just flat out better than Fuji’s currently. Some people say the viewfinder in the Olympus OM-D E-M1 is better, but I have to disagree. There are PLENTY of in depth reviews of the X-T1 online so I’m not going to go in depth here, I will just say that I LOVE the X-T1 and when I want to pack a lighter kit than my big Nikon D4 and it’s heavy, big Nikon lenses (for landscape, portrait, street, and architecture photography), I have no hesitation taking the Fuji kit out for a shoot. I won’t be using the Fuji kit for my wildlife and zoo photography though, as I still the find the ultra-fast focus and general speed of the Nikon D4 to be superior to anything else for that type of work…but when I don’t necessarily need the speed of the Nikon kit, the Fuji X system is more than capable! I’ve recently added a second X-T1 body as a backup and gotten rid of the Fuji X-E2 I was using previously as a backup. The Fuji X-Trans sensor’s image quality and the awesome Fujinon lenses ensure I’ll get excellent image quality – in my opinion better than ANY other APS-C sized sensors and as good as many full frame sensors. The X-Trans sensor has a unique look in the way it renders a scene…it’s film-like…less “digital” than other sensors, I feel. I used my Fuji X-T1’s exclusively on my recent 7-day trip into the Great Smoky Mountains. It was the first time I’ve gone exclusively Fuji X for any “serious” shooting. The cameras worked out very nicely for my photography down there and the only two “issues” I had aren’t really problems with the Fuji’s as much as they are issues with all the mirrorless cameras I’ve tried. The battery life, while not terrible, is still nowhere near DSLR standards. With my Nikon D4 for example, I can charge a battery and get probably close to 3 solid days of shooting. With the X-T1 you get about 300-330 shots. The batteries are smaller and they are always powering a screen – either the back LCD or the EVF. The batteries for the Fuji’s are much smaller and a LOT cheaper though, so there’s no reason to have extras. I have (and carry) 10 total…1 in each battery grip (I don’t put one in the body anymore, just the grips) and 8 spares. That’s plenty. I had to charge 2 batteries each night, and on one occasion had to charge a 3rd. Yes, you can put a battery in both the body and the grips, but I don’t want to take the grips off each time to access the body’s battery compartment, so I leave the bodies battery-less! I just made sure I had a fresh battery installed before anything “time critical” like a sunrise or sunset. The EVF was the other thing. As good as the X-T1’s EVF is…and it is the BEST EVF currently out there…it’s still not an optical viewfinder. During most “landscape” type shooting, in reality it is perfectly fine. When using a particularly dark ND filter, the image in the EVF gets a little choppy, but with landscape photography that’s rarely a problem as your subject isn’t really going anywhere! But, often with a particularly strong ND filter, the EVF is probably a better option even if it is choppy since it amps up the scene so you can at least see something! (Speaking of ND filters, wouldn’t it’d be awesome if the X-T1 had a built-in 3-Stop ND like the X100 series has?!?). Manual focusing, while greatly improved in the X-T1’s over earlier Fuji’s, is still tougher to do than with an OVF. As much as the EVF has been hyped up, honestly after a day or 2, I didn’t really notice it much. I think I would still welcome an OVF with electronic overlay like in the X100S…an OVF like that one, with the size of the X-T1’s EVF would be awesome! I ended up using the “dual screen” mode of manual focusing when shooting macro/closeup shots of, even though I would have preferred to have just used the big “full” mode. The view jumps to an enlarged view of the center of the image to aid in manual focusing which is great IF your subject is in the center, but I very often don’t put my subject dead center when doing this type of shooting. The dual mode lets you see both the entire image and the “zoomed in” center in a smaller window on the side. I could set up my chosen composition and then focus this way. Focusing and then recomposing will very often change your focus plane so that’s not really an option for closeups. Maybe there is a way to “disengage” the center area zoom for manual focusing in the Full mode…I’ll have to investigate that now that I am home from the trip and have more time! UPDATE 6-1-14: Actually, when you press the “zoom in” button, it zooms into the area where the Focus Point is, so it doesn’t necessarily have to be the center…I initially missed this feature. Very nice! I’ve gone back to the full view mode for manual focus using this method and it works great. Another thing that proved itself an awesome feature was the Level Gauge you can have in the viewfinder…it was SO nice to level the camera on the tripod (and even handheld) using that feature! I know some cameras have this now, but I guess I just like the way Fuji implemented it in the X-T1…for example I find the level gauge in the Sony cameras almost distracting the way it’s shaped and sized – the Fuji level gauge is just a thin line that changes from white to green when level. 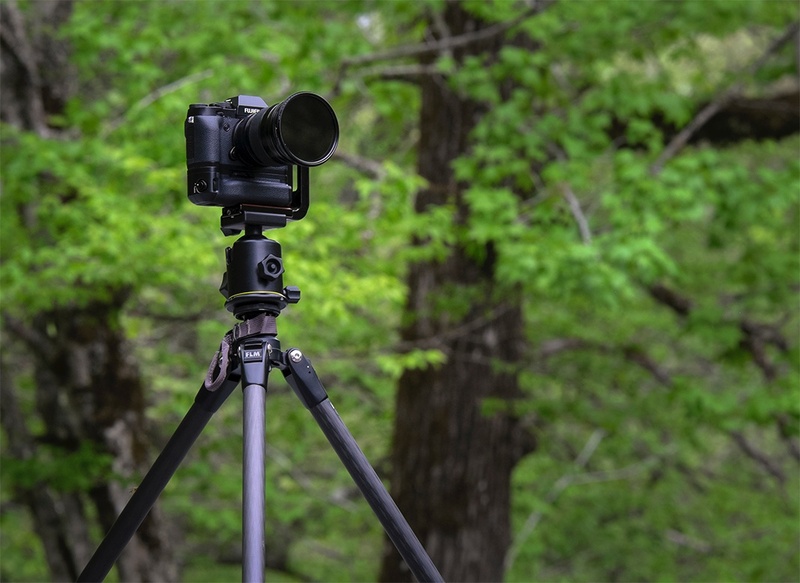 UPDATE 4-2-15: The level gauge is just as useful in the studio as it is shooting landscapes – now that I’ve started using my Fuji gear for more portrait work and the like, I’ve noticed how nice it is to have. I love having it when doing a boudoir shoot for example. I have Fuji’s battery grips on both bodies and now Really Right Stuff Arca-Swiss compatible L-Brackets (after first using ProMediaGear universal 4″ brackets while waiting on the RRS brackets to be shipped) on both as well, which really aids in handling. The RRS brackets are obviously much nicer than the ProMediaGear versions, partly in fact due to the RRS versions being custom made for the X-T1 and vertical grips, but one thing that is awesome about the PMG brackets are the magnetic storage slot for the allen wrench – if you ever need to remove the brackets, you always have the correct allen wrench right there on the bracket…a brilliant feature that I’ve only seen on PMG brackets…though you probably would lose some of the sleekness of the RRS brackets if they had this feature. I have to admit, I loved having two identical bodies/grips/L-Brackets available to use – I tended to have a wide-angle zoom on one and the 55-200 zoom on the other so I could quickly jump back and forth between the two…this was especially nice during sunrises for example, when time was more critical. The cameras handled extremely well and were great to use in the field. I’ve used a lot of the newer mirrorless cameras – several Olympus models, a Nikon V1, some Sony models, and a Panasonic and in my opinion the Fuji X line blows them all away! There’s just something about the way that the Fuji bodies render images that looks great…very “film-like” you hear a lot of people say and I agree. The Fuji X lenses are also fabulous, and the 18-55 “kit” lens that Fuji provides as an option is – BY FAR – the greatest kit lens ever bundled with a camera body! If you’re a photographer and you are looking for a mirrorless camera, you absolutely have to check out the X-T1. I have been using my X-T1’s a lot lately on some portrait and boudoir shoots with the amazing Fuji 56mm f/1.2 lens…a killer combo. I’ve done some natural light shoots as well as studio strobe shoots with Pocket Wizard triggers and have gotten great results in both scenarios. In fact, on the most recent shoot I did I took only one X-T1 body with a BlackRapid wrist strap, the 56mm lens, and an extra battery. I do take off the RRS L-Bracket if I’m doing a portrait shoot since I handhold cameras for that type of work, but honestly the RRS brackets are low-profile enough and comfortable enough that I could probably leave it on. The only wrinkle in using the X-T1 I’ve discovered so far is if you’re working with a model that changes poses with every fire of the shutter is that the camera is so quiet, if you have any music playing or more ambient noise they might not hear the shutter! I had one model make a comment of how quiet the X-T1 is, being used to hearing the mirror slap of a DSLR or even the huge mirror on a medium format camera. The X-T1 has become my favorite camera ever…and those that know me and the amount of cameras I’ve had know that’s saying something!